Shopping for Breaking Bad / Better Call Saul Pop! Vinyl Figures? Who's Jimmy McGill? 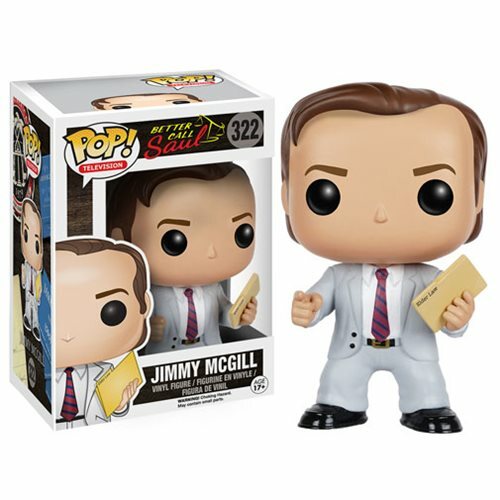 This Better Call Saul Jimmy McGill Pop! Vinyl Figure features the exceptional lawyer originally from the hit series, Breaking Bad. Standing about 3 3/4-inches tall, this figure is packaged in a window display box. Ages 17 and up.